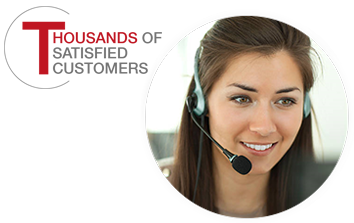 Includes a free preview of future issues in the collection Gold Certificate Ingot Coll. . For more information, please refer to the Satisfaction Guarantee tab below. If you do not wish to preview future issues in the collection, you may purchase the single item using the 'Individual Item Only' tab at right. Issued by the U.S. Treasury from 1865 to 1928, gold certificates were a banknote which could be exchanged for an equivalent amount of gold. 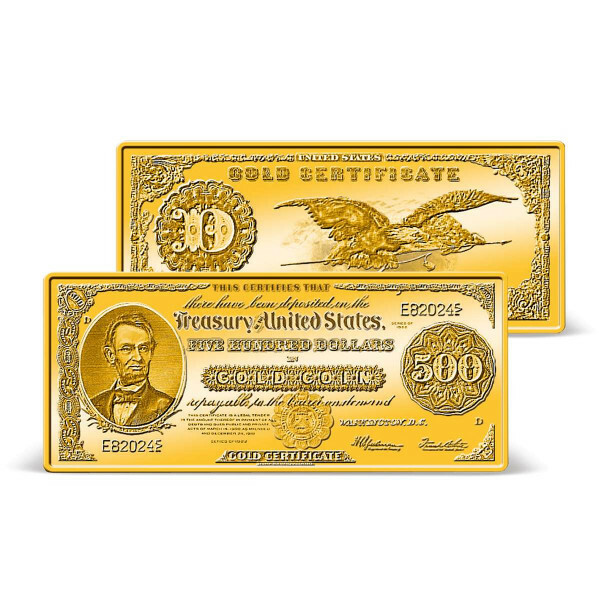 The $500 Gold Certificate was the most popular denomination of these valuable pieces of paper, mostly because it featured our greatest President: Abraham Lincoln. In 1933, private ownership of gold was banned and most "Lincoln $500 Gold Certificates" were confiscated and destroyed. Today, less than fifty 1922 $500 Gold Certificates are known to exist; a pristine example recently sold at auction for more than $50,000. Now you can adda 24k gold-layered tribute to this historic gold certificate to your collection! Available exclusively from American Mint, this exquisite ingot features a highly detailed reproduction of the rare andvaluable 1922 $500 Gold Certificate. The obverse features Abraham Lincoln and the 500 denominational seal that stands out in highly detailed relief from the mirrorfinish of the ingot's background. Just like the original banknote, the reverse features a bald eagle in flight carrying the American Flag as its central image.